Nintendo games not on a Nintendo! 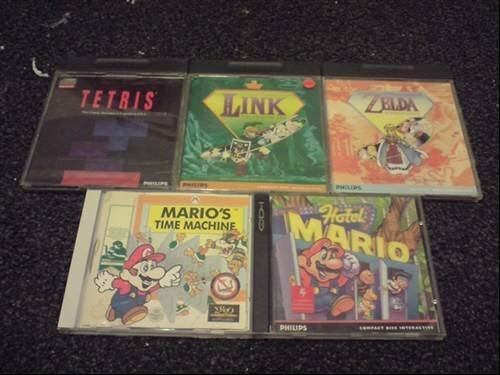 As far as I know, the games pictured (except Tetris obviously) are the only games Nintendo have ever made for a console that they did not produce. Hotel Mario, Link and Zelda were made for the Philips CDi and Mario's time machine for the PC. Not sure how rare these are but interesting nevertheless.